Sometimes in life, you’re going to have to improvise. That’s what Mr. Williams did when he realized he deserved better in life. 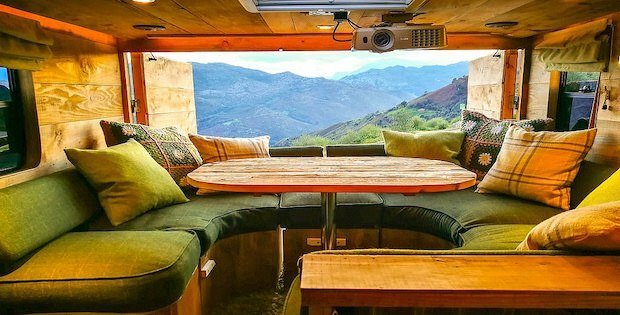 He converted this rundown horse trailer into a home that he felt was better than any he had lived in. Mr. Williams’ log cabin van has everything he needs. 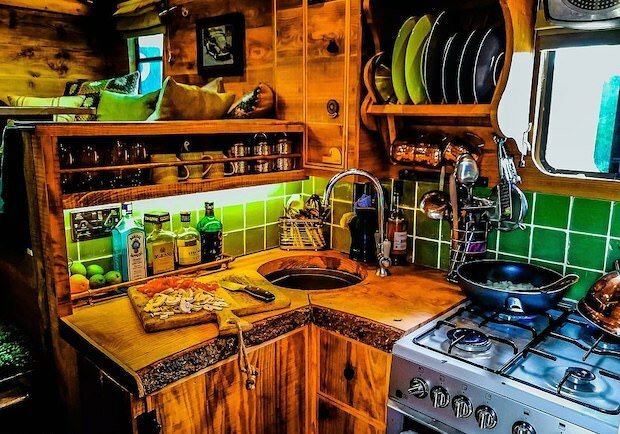 He managed to fit a dining area and a fully-stocked kitchen into the van. This made his life easier as it narrowed down his expenses to just fuel and food. Of course, the best thing about his new home is his ability to park his home just about anywhere he needs it to be. 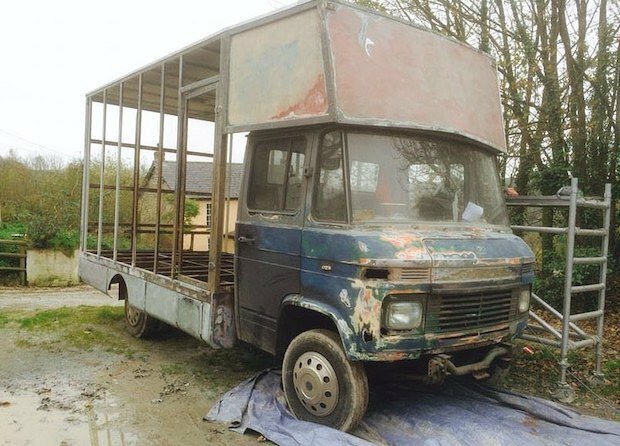 The transformation of this van cost Mr. Williams about $20,000. 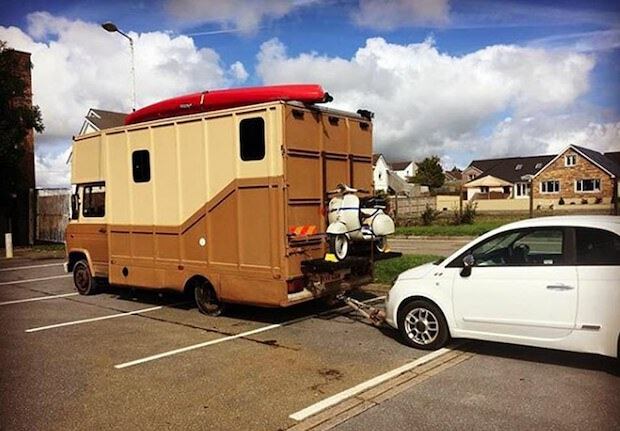 He added: ‘After doing that for a while I wanted to do something a bit bigger and I ended up buying this horse box from Holland and driving it back. ‘I kitted it out with the intention of living in it. I did it over a year but I reckon I could’ve done it in just two months. 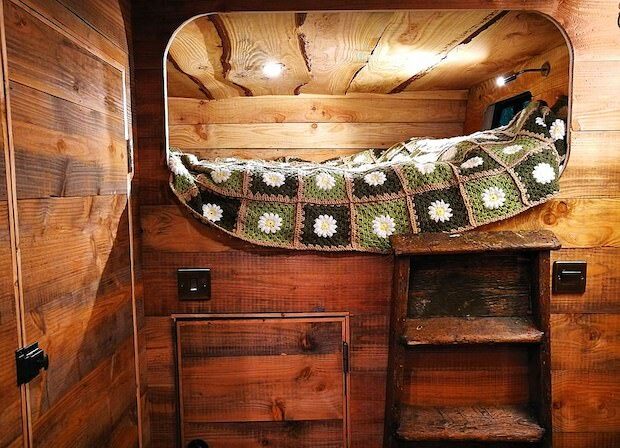 ‘We were going for a log-cabin style and we were inspired by the Alps – it is basically a log cabin in a van. ‘It is more kitted out than a lot of flats, it has everything I need.